Michael Poeltl has read 6 of 10 books. Michael Poeltl read 10 books of his goal of 8! A weekly alternative newspaper reaching over 1 million potential voters/viewers. Poeltl has released a general fiction novel; Her Past's Present, a children's novella: West of Noreaso, A Dytopian Trilogy; The Judas Syndrome, the Hello Me series - teaching children and adults alike the science of their spirit, and in 2015: Waning Metaphorically; A collection of short stories. An Angry Earth - A cautionary tale of ignorance and the apocalypse - which is an illustrated Picture book, was released in October of 2016. Always grateful for the opportunity to get my books (and ideas) out there and into the hands of readers. Born in Toronto, Ontario, Michael Poeltl earned his diploma in Interpretive Illustration and began a career in the field while educating himself on the art of writing. 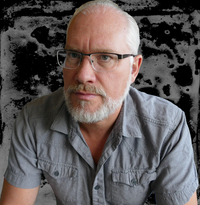 Writing quickly became his passion and after completing several shorts, he undertook The Judas Syndrome trilogy. Poeltl lives in Southern Ontario, Canada. To ask Michael Poeltl questions, please sign up. Energy is Forever, and so are YOU! Writing is My Dharma - What's Yours? I write in multiple genres because I believe we live multiple lives. If this life were all you were given, there wouldn’t be enough time to learn everything we’re here to learn. That’s a fact. Each life presents its challenges, and if you can’t learn from them then, you’re doomed to repeat them. Description: With winter comes courage; to fight the elements, even just to go outside, but when a snowball fight sends you running for cover, courage can be found in the most unexpected places. Re-live your favourite part about winter in this witty and fun short. Description: Flash fiction concerning a man and his regret. We’d love your help. Let us know what’s wrong with this preview of The Forgotten Road by Richard Paul Evans. I have enjoyed many of Richard Paul Evans books. This one, like his others move at a great pace and are packed with insightful and emotional detail. Looking forward to book 2!
" More of a Military Space Opera this time out. But all the characters you loved in Book One and a couple of new ones to keep it interesting. Giveaway ends May 15, 2019. 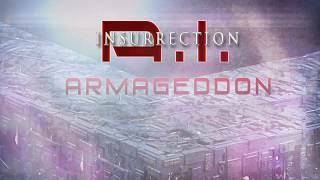 Working on book two of AI Insurrection.... Progress is impressive. Nearly sixty-thousand words already. Excited for what this book is becoming. Put together a Little Free Library at the house to encourage literacy in my neighbourhood :) Anyone else doing this? CONGRATULATIONS to all the winners of A.I. Insurrection kindle copy! I look forward to many more reviews! Enter for the chance to win one of 50 Kindle copies of my new work of sci-fi : A.I. Insurrection. Begins February 11th – March 12th, 2018. Special Offer - Get your friends and family a FREE kindle of #ShortStories for the #Holidays. December 15th-17th. 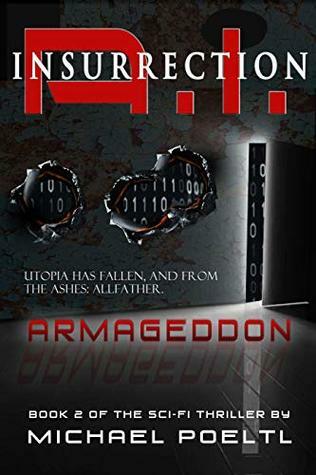 Interested in an ARC copy of my newest book A.I. Insurrection? Check it out here: A.I. Insurrection and message me for your PDF copy. Looking for advanced reviews and feedback. EXCITING NEWS: After writing a Sci-fi short in his 2015 anthology, Waning Metaphorically - and Sci-fi being a go to genre of his own - Poeltl is developing an exciting universe which should be ready late 2017 or early 2018. Think: Red Rising, meets I Robot, meets Blade Runner (Do Robots Dream of Electric Sheep). In the spirit of the season, I'm giving away Kindle versions of Waning Metaphorically for the first time ever! Check it out, Dec 23rd – 27th Happy Holidays! An Angry Earth is now available - A picture book for adults and children alike. Learn what happens when the earth say as; No More! Currently working on : An Angry Earth - a cautionary tale of ignorance and the apocalypse - A picture book. The Judas Syndrome - Book One - is up as an option on YA Apocalyptic and Dystopian fiction for Book of the Month. 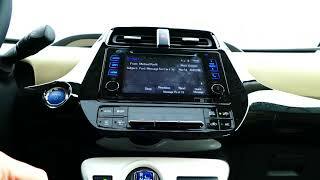 Please vote for it here. Thx! Interested in reviewing my new book, Waning Metaphorically? Message me. 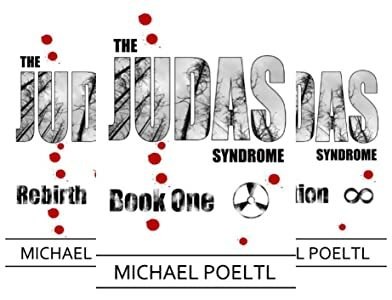 Congratulations to the two winners of The Judas Syndrome trilogy Rafflecopter contest. Meaghan R. from Encino, CA and Tobyann Aparisi from Tucson, AZ. Tony wrote: "yes it sounds like a great read I put in for the giveaway of this book. how much would you charge for this book?" yes it sounds like a great read I put in for the giveaway of this book. how much would you charge for this book?